In February I taught a cooking class on weeknight meals and batch cooking for The Wonder Women Project, a fabulous group of women in NYC who get together for workshops on wide-ranging topics, as well as events that are simply for fun. Spending the afternoon with them made me wish I lived in Brooklyn so that I could join in for all of their events. As I was developing the class, we decided that a vegetarian, almost vegan, menu was best for this group. Vegetarian cooking lends itself well to quick, weeknight recipes – after all, veggies typically require less cook time than many meats. I really wanted to develop a taco recipe that would be easy to prepare, provided A LOT of flavor and left you with versatile leftovers. 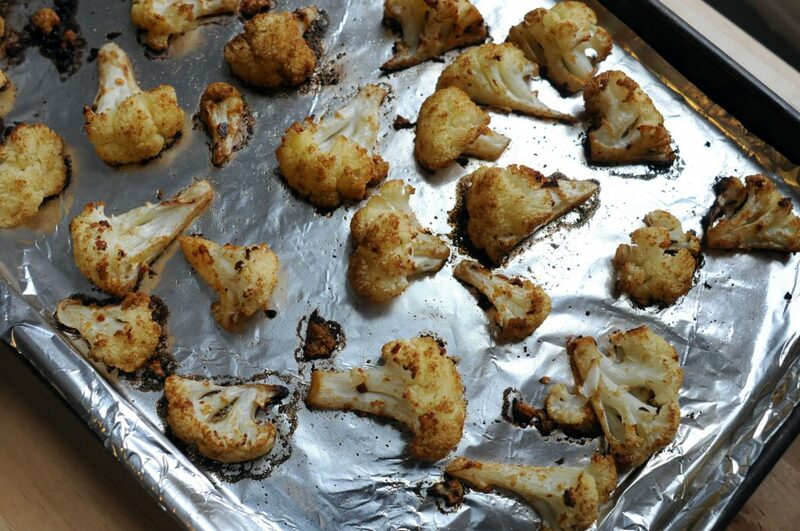 At Milk Street, we had been teaching a roasted tahini cauliflower recipe where you get the sheet pan screaming hot before putting the cauliflower florets on the pan to roast. 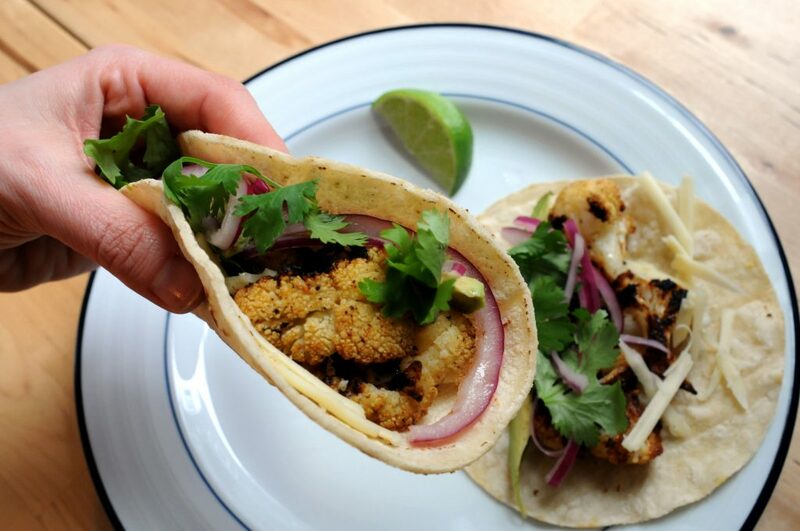 I loved the crispy char that this method provided and figured it would be a great way to give some smokiness and oomph to vegetable tacos, which can often be too sweet and boring. Spoiler alert, it worked! The key is to preheat your sheet pans with the oven (to a high heat) so that the cauliflower sizzles as soon as it hits the pan. This is kick-starting that great maillard reaction that gives your steaks a delicious char. To make sure each piece has a crispy browned edge, I prefer to cut the cauliflower (rather than breaking it into perfect florets). This gives you a flat edge on each piece. When you put the cauliflower on the pre-heated pans, take the time to carefully turn all the cauliflower so that the cut side is facing down. Resist the urge to stir partway through cooking! 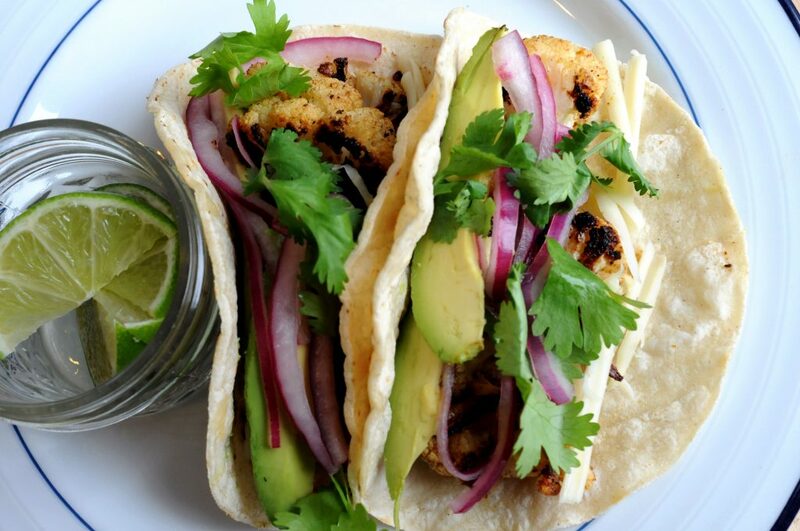 One final thing – quick pickled red onions absolutely make these tacos. Don’t skip them! Make them first so they have time to work their magic. They can even be made a few days in advance. Line two sheet pans with aluminum foil and place on middle rack of oven (or on two separate racks placed in the middle of oven). Heat oven to 500°. In a large bowl, whisk together oil, onion powder, garlic powder, cumin, smoke paprika, crushed red pepper and salt. Toss cauliflower florets in the oil mixture. When oven is fully preheated, carefully add cauliflower to the two preheated sheet pans. Spread cauliflower into an even layer, carefully turning the pieces so the cut side is facing down and they are spread out with room between each piece. Reserve the bowl for later. Roast cauliflower until deeply browned on the bottom, 15-25 minutes. Remove cauliflower and return to original bowl. Toss with lime juice. Serve in corn tortillas with toppings of choice. For a variation, replace cauliflower with 4 medium sweet potatoes, cut into 1-inch pieces. Uses for leftover roasted cauliflower: quesadillas, grain bowls, omelets or frittatas.